In the past decade, the number of Australian universities offering veterinary courses has jumped from four to seven; collectively, they churn out an estimated 500-550 graduates a year. Even accounting for the fact that some are overseas students who return home post-graduation, you would think there would be enough vets to go around. Yet many practices are having trouble attracting suitable candidates to veterinary jobs. For Dr Debbie Delahunty, owner and head vet of Horsham Veterinary Hospital in regional Victoria, recruiting vets to her small-animal practice was never an issue—until last year. And she is not alone; at the 2016 Australian Veterinary Business Association (AVBA) conference, where she hosted dozens of delegates at roundtables on recruitment, Dr Delahunty was “really surprised” at the number of city practice owners expressing similar problems. “While [most] seeking new graduates have few issues filling positions, employers in some regional areas in SA, the ACT, Perth and outer Sydney metropolitan areas have reported difficulties finding suitable veterinarians with three to five years’ clinical experience seeking full-time employment,” confirms AVA policy manager Dr Debbie Neutze. What’s causing the vet drought? vets jettisoning clinical practice for more lucrative industry roles in pharmaceuticals, or pet food—or exiting the profession entirely. Since the 1990s, the gender make-up of the profession has shifted dramatically. The ‘Australian veterinary workforce review report’ (June 2013, AVA) estimates that the proportion of female vet graduates nationwide will likely “remain at above 70 per cent for the foreseeable future”; by 2022, the report predicts, female vets will comprise more than 60 per cent of Australia’s veterinary workforce. “The effect of this on the pool of vets available for full-time practice will depend on the rate at which female vets enter the life stage where they have small children, the hours they are then willing to work, and for how long they remain unavailable for full-time practice,” states the AVA report. Some researchers contend the influx of women could lead to an oversupply of vets in city small-animal practices and a corresponding undersupply of vets in non-metropolitan areas, “[based on] the assumption that female vets will be more likely to spend part of their career not working or working part-time [and] the belief that female vets are (partly as a result of anticipating childcare responsibilities) less interested in rural and production animal practice”. The new generation of (predominantly female) vet grads is less likely to prioritise work over family time, leisure and sleep. Vets who do stay will likely be seeking jobs that offer better work-life balance; proximity to urban centres; opportunities for specialist training/mentorship and career advancement; and—if larger paychecks aren’t forthcoming—compensatory perks (parking spots, paid study/family leave). Tegan McPherson, head of People and Culture at RSPCA Victoria, thinks money is the root cause of many recruitment problems. Veterinarian remuneration is a key component of AVA’s five strategic priorities to ensure the profession’s economic sustainability, she adds. Retaining experienced vets in rural, particularly production-animal practices, is an ongoing challenge. 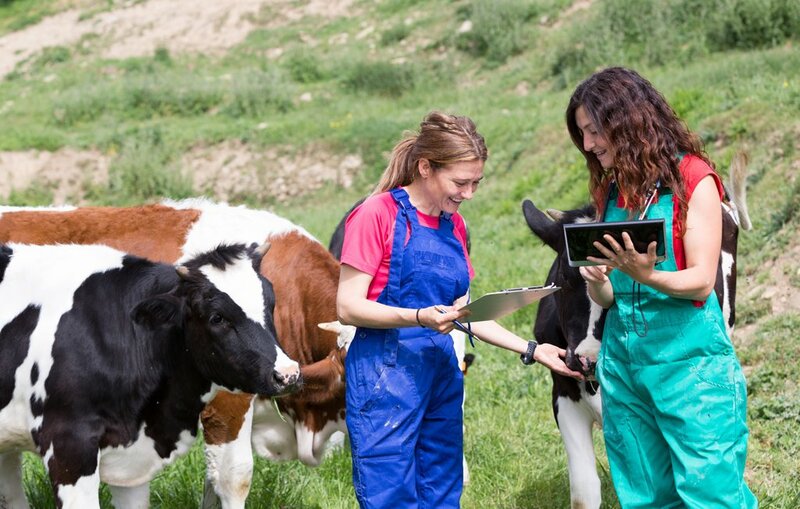 It is hoped that initiatives aimed at boosting the number of vets seeking rural and ag-based careers—such as CSU vet school’s preferential intake of students with farming and country backgrounds—will help redress regional shortages and take advantage of the reported demand for vet services in production-animal areas, notably intensive-livestock operations such as dairy farms. While some contend more female vets will exacerbate the regional vet drought, CSU says its female vet graduates are as keen on production-animal work as the guys. Only time (and follow-up data) will tell whether this new crop of ‘true-blue’ vets stays in regional practice beyond the first few years. That said, practices may need to offer more to attract and retain good vets. “If the employer is […] after a more experienced veterinarian, they may need to look at increasing the wages and offering better conditions to attract the right employee,” Dr Neutze advises. “Job shares; regular, consistent days off, and other innovative job arrangements can also assist in keeping that good employee. “Many graduates are keen to increase their qualifications, and real, genuine support to achieve this is highly valued—both paying for the course, and time off to study,” she adds. Dr Delahunty accommodates her staff’s needs with four-day weeks (albeit longer days), part-time roles and industry-competitive rates, and shares after-hours work with a neighbouring practice. An ASAVA (Australian Small Animal Veterinary Association)-accredited veterinary ‘centre of excellence’, she is also well-equipped to mentor new graduates. widely promoting the RSPCA’s “team-oriented environment”, broad-ranging caseload and diverse array of industry professionals. “If your practice is [one] where employees are supported, happy and well remunerated, recruitment and retention will be much easier,” says Dr Neutze. 1. When faced with a low-salary job or no job, what would a vet seeking employment choose? The argument that low salaries are the cause of a lack of candidates is spurious, unless most vets are moving out of the veterinary sector entirely and into one that is better paid. 2. Rather than employers bemoaning the high cost of employed vets, should they not be managing their productivity to reap a greater return on their investment? Our veterinary management company has noted that many employers struggle with the basic monitoring of average transaction fees, missed charges and capacity of their employed vets. Well-managed veterinary businesses ensure employed vets turn over at least five times their salary. The moral of the story – manage your veterinary business better so that you can afford to pay vet salaries commensurate with skills, productivity and HECS debts. We need to entice and retain these amazing people who have so much to give to the welfare of animals. I find it interesting that the impact of tax environment and particularly the GST is never discussed in these types of articles. In my view GST has creamed what little profit there was from the industry, making it difficult for most veterinary hospitals to properly support either their staff or the business owners. GST is not a special kind of ‘above-the-fray’ tax; goods and services subject to it are subject (just like any other) to Adam Smith’s ‘invisible hand’. The veterinary industry is plagued with high break even costs and high labour ratios, neither of which are factored in when assessing GST. GST is quite possibly the long term straw that has over time broken the camel’s back for the veterinary industry in Australia.